On this page we will share information regarding efforts we are making to help others as well as efforts that other organizations and people are leading that we feel are important. We hope that you will support these causes by donations of goods or funds or even just sharing the information with your friends and family that might be interested in helping. Together we can make a difference! We are committed to an unparalleled Community Outreach Program that connects our experienced volunteers to the animals and the Dominican and Haitian people. 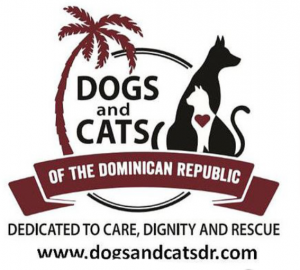 Dogs and Cats of the Dominican Republic promises to also act as good stewards of our contributors’ donations, and strive to foster community spirit and partnerships with individuals and local business for the benefit of all. Dogs and Cats of the Dominican Republic is a U.S. 501 c 3 nonprofit, A Canadian Registered Charity and Dominican Republic Government Registered Nonprofit (NGO) all volunteer-based organization working on the north coast of the island. 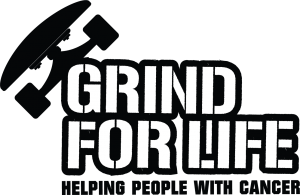 Grind For Life, Inc was founded in 2003, by life-long skateboarder Mike Rogers, after his second battle with sarcoma cancer. Mike’s tumor was located behind his right eye and nasal cavity. He endured a 17 hour surgery a cranial-facial resection with a brain-lift, removal of his eye, cheekbone, and half of the roof of his mouth and some of his teeth. He beat cancer once as a pre-teen, and again 25 years later. Mike beat the odds and is skateboarding competitive again. The mission of the Grind For Life organization is to provide financial assistance to cancer patients and their families when traveling long distances to doctors and hospitals. In addition, we educate and inspire these patients and families concerning cancer survival and recovery. Those who qualify may request assistance for travel and lodging expenses, meal, and personal needs. Funds for this organization will be raised by, but not limited to, hosting skateboarding events and festivals, ebay sales of donated goods, fundraiser’s, Grind For life sponsors a skateboard team to perform at these events to keep the spirit of skateboarding alive. Our ultimate goal with this organization is to have a couple of apartments near Memorial Sloan-Kettering Hospital in Manhattan, so people who are receiving treatment at the hospital can have their family near them. We want to be able to provide a comfortable place to stay, charge fees based on a sliding scale, provide support for those who are not accustomed to the city, and make a rough situation a little easier for those who travel long distances for treatment. Our friend Jim read a story in the Baltimore Sun (see link below) about a ship and it’s crew that have been stuck in Baltimore Harbor for almost 2 months, being the kind person he is decided to step up and do what he could for the crew. Jim, who is a Captain for Urban Pirates (A Pirate themed tour boat that operates in Baltimore’s inner harbor www.urbanpirates.com ) got permission to use the Pirate ship to deliver hot meals that he had local restaurants to donate to the crew of the “Newlead Granado.” With the success of his first trip out to the ship and freezing temperatures on their way Jim has decided to take up donations of warm clothing, food, snacks, hygiene products and any other items that the crew might be able to use. There does not seem to be a departure date in the near future and the crew was not prepared for an extended stay nor for the cold temps. Please check out the link below for the full story on the ship, it’s crew and why it’s stuck in Baltimore. Founded by Jon Rose in 2009 as a way for travelers do what they love and help along the way, Waves For Water launched with a program called Clean Water Couriers — a DIY (Do-It-Yourself) distribution network of travelers who carry water filters with them in their luggage, eliminating the distribution challenges faced by philanthropic aid programs. Since then, the Waves For Water programing has touched over 7 million people in more than 27 countries, including Sierra Leone, Indonesia, Nicaragua, Haiti, Brazil, Liberia, Mexico, India, and Colombia. The organization was also the first non-profit to team up with a U.S. Military battalion, in an active war zone, to help people in need along the Kunar River in Afghanistan.